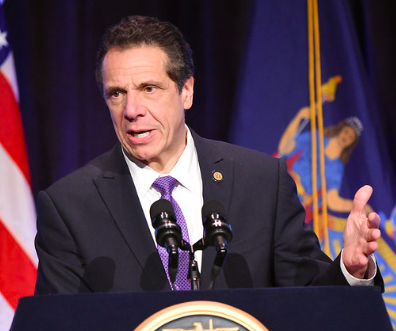 The new state budget features a larger-than-usual increase in Medicaid spending and two new coverage mandates for private insurers – adding to the already steep costs of health care for New York’s taxpayers and policyholders. After some histrionics over cuts that Cuomo proposed in mid-February and dropped in mid-March, the final Medicaid budget appears to have ended up more or less exactly where the governor started in January – with an increase of approximately $1 billion, or 4 percent, in the state’s share of the program. This budget marks the second-largest bump in state funding for Medicaid since 2012, when a post-Great Recession boost in federal funding for the program came to an end, causing the state’s contribution to spike. It far surpasses the 3 percent limit prescribed by the state’s medical-inflation-based “global cap” on Medicaid – which lawmakers have weakened by exempting a large and growing share of expenses. One example is the extra Medicaid funding granted to providers to cover costs associated with recent minimum wage hikes – which is budgeted at $1.1 billion for fiscal year 2020 (or roughly double that with federal matching aid factored in), a hefty 61 percent increase from the year before. The added spending does not reflect any expansion of benefits or significant change in enrollment, which has been virtually flat since 2015. As expected, the final budget does not include cuts to Medicaid that Cuomo proposed in February – and later backed away from – after state tax collections came in $2.3 billion lower than expected. Those proposals would have slowed spending growth to 2 percent instead of 4 percent. They would have trimmed $550 million from the state’s contribution, and just over $1 billion from the total program. In rejecting those changes, the deal reinstates temporary Medicaid fee increases of 2 percent for hospitals and 1.5 percent for nursing homes, which Cuomo had threatened to rescind after unilaterally ordering them last fall. It also drops Cuomo’s proposed change to the Indigent Care Pool, which would have capped charity-care funding for certain large, financially strong hospitals in the New York City region. The result is that the pool – which is widely criticized for misallocating funds – will continue as-is for at least another year. Cuomo’s February proposal to cut Medicaid spending by 0.8 percent across the board was not approved in its original form. However, the budget does give the administration authority to cut Medicaid by as much as $190 million (which is about 0.8 percent of the state’s contribution) as it deems necessary. As of 2020, large-group insurance plans (covering 100 employees or more) must pay for at least three cycles of in vitro fertilization. That is expected to add about 1 percent to affected premiums – in a state that already has some of the highest premiums in the U.S.
All state-regulated plans must also cover at least the first 28 days of inpatient drug-addiction treatment before challenging the claim, up from a minimum of 14 days enacted in 2016. There was no official study of the impact of this requirement on premiums. As with most such mandates, these laws do not apply to large-group plans that “self-insure” which are exempt from state regulation by federal law. Such plans enroll the majority of New Yorkers with employer-sponsored health benefits. Requiring that contracts between Medicaid managed care plans and pharmacy benefit managers use “pass-through” pricing instead of “spread” pricing, which the administration projects will save the state $43 million. A broader proposal to regulate pharmacy benefit managers was dropped. Curtailing the number of “fiscal intermediaries” servicing the consumer-directed personal assistant program, and switching the to a per-member-per-month fee instead of a per-hour fee, for projected savings of $75 million. Assuring that nursing home reimbursements more accurately reflect their patient case-mixes, which is expected to save $123 million. At Cuomo’s behest, the enacted budget codifies certain features of the Affordable Care Act in state law. The state’s insurance purchasing exchange, known as the New York State of Health, is now authorized by statute instead of Cuomo’s executive order. If the ACA were repealed by Congress – which is unlikely with Democrats in control of the House – its rules mandating coverage of essential benefits, requiring insurers to accept all customers and prohibiting exclusions or penalties for pre-existing conditions would remain in effect in New York State. The budget calls for the Health Department to study proposed minimum staffing mandates for hospitals and nursing homes – a priority for the New York State Nurses Association – with a report due back by the end of the year. The governor’s proposed commission to study strategies for achieving universal health coverage – which supporters of a statewide single-payer health plan dismissed as a delaying tactic – was removed from the budget during negotiations with the Legislature. Also notably absent: a “contingency fund” to hedge against possible cuts in federal health funding, which was a last-minute idea floated by the Greater New York Hospital Association and the health-care labor union 1199 SEIU.